From silky hair conditioners to beautiful balms, Lush’s collection of hair products are designed to leave your hair looking shiny, healthy, and happy. Shake off the dull this summer and treat yourself to a range of fabulous hair products from Lush. All hair products are made using natural and organic ingredients so you can feel confident there is no harm done to your precious locks. Bring all the boys to the yard with this strawberry vanilla milkshake conditioner. A beautiful fruit and vanilla conditioner that really does the job – a dreamy, medium strength conditioner for soft, shiny, fragrant locks. This is a thick heavy conditioner, but won’t leave the hair weighted down or heavy. Its combination of honey, strawberries, and fresh orange juice in a thick lanolin conditioner base, will make the hair soft, manageable and easy to comb. Have a big hair day. This is like having your hair lifted on a sea breeze. We love salt on the hair because it’s great for giving volume. We experimented with it for a very long time before coming up with this, our ultimate salt shampoo. Sea salt is also full of minerals and de-greases hair, removing dead skin cells and dirt without stripping natural oils for a fresh, squeaky clean feeling. We balance the sea salt with seaweed infusion, extra virgin coconut oil and avocado butter for soft, nourished locks. Finally, fresh citrus juices are squeezed in for incredible shine. If you don’t have any prior engagements, then why not spend a night in putting your hair into rehab? Hairspray, bleach, colours, styling products, ill health; these are all things that can really take a toll on your hair and leave it far away from its natural best. 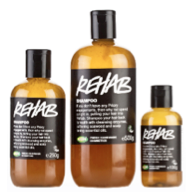 Rehab is about bringing your hair and scalp back to basics and repairing it with an array of lovely ingredients. A blend of fresh citrus juices clarify hair and scalp with active enzymes, while herbs work their magic on tired scalps. It doesn't take long for this shampoo to restore your hair's vitality! 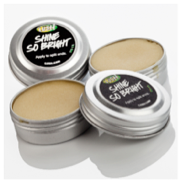 A beautiful balm to prevent split ends and help hair shine so bright. Extra virgin coconut and olive oils, shea butter and fresh free range eggs nourish and improve the tensile strength of hair to prevent and mend split ends. It works wonderfully as a finishing product as well, taming fly-aways and keeping hair in place for a flawless look. Add to that an orange flower, grapefruit, neroli and rosewood perfume and you won't want to leave home without this! Spice up your hair! Give it new life. When stress or life goes to your head and your hair starts thinning, motivate those tired scalps with spice and mint oils. It’s intense, but works wonders on irritated scalps or hair that’s thinning. Healthy hair needs a healthy scalp as its foundation. 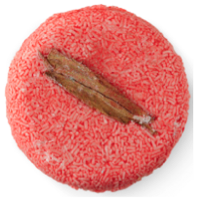 New Shampoo bar has two tasks; to give amazing shine and stimulate hair follicles to maximize growth. Nettle and peppermint infusions give shine to the hair. 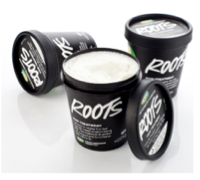 Rosemary and nettle absolutes are included to protect, soothe and clear the scalp and also give shine. Drive your hair in for some serious breakdown recovery. This is a pit stop for your hair. Just like tyres, the outer layer of your hair shaft gets worn and damaged. 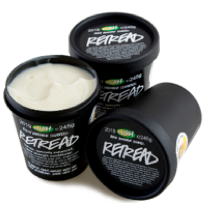 Retread is full of ingredients to fuel your hair up again and get it back out on the road. A super-smoothing conditioning cream that gives sad hair its shine and bounce back. We make a seaweed and lanolin base and then add soya milk for protein. Added to that are olive, jojoba and avocado oils to give a deep condition. Nutritious fresh melon juice and yoghurt are then stirred through. Thine be the glory – Don’t despair, we’ve got a treatment for thin and fine hair. The route to mighty fine hair. Fine hair needs careful looking after. This treatment is packed full of ingredients to revitalize from root to tip. You'll feel the tingling and cooling sensations of fresh mint infusion and minty oils (peppermint and spearmint) as they go to work revitalizing the scalp, because healthy hair starts at the roots! Extra virgin olive oil and honey soften and condition hair to make it shine without weighing it down. Give dull, fine and thin hair volume and shine by treating it with Roots. Hair fall can lead to a naked head and no body love that. So better to take care of hairs before the hard situation came.